Denny Hamlin topped the chart in second Monster Energy NASCAR Cup Series practice at Homestead-Miami Speedway. The driver of the No. 11 Joe Gibbs Racing Toyota was the fastest with a time of 31.555 and a speed of 171.130 mph. Dale Earnhardt Jr. was second in his No. 88 Hendrick Motorsports Chevrolet with a time of 31.638 and a speed of 170.681 mph. Martin Truex Jr. was third in his No. 78 Furniture Row Racing Toyota with a time of 31.761 and a speed of 170.020 mph. Kurt Busch was fourth in his No. 41 Stewart-Haas Racing Ford with a time of 31.850 and a speed of 169.545 mph. Kasey Kahne rounded out the top-five in his No. 5 HMS Chevrolet with a time of 31.958 and a speed of 168.972 mph. Ryan Newman, Joey Logano, Trevor Bayne, Ryan Blaney and Brad Keselowski rounded out the top-10. Kyle Busch was 16th and Kevin Harvick rounded out the Playoff drivers in 17th. 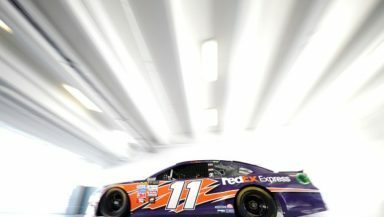 Hamlin posted the fastest 10 consecutive lap average at a speed of 165.574 mph.